2016 is set to be a big year for commemoration to mark the centenary of Easter Rising and Battle of the Somme. There can’t be any doubt about the massive significance of both events and, as we ponder the valour and the futility, the manner of commemoration will be under the spotlight. On New Year’s Day the Irish Government straight away set the stage for 2016 with the Peace Proms at Dublin’s impressive National Convention Centre. 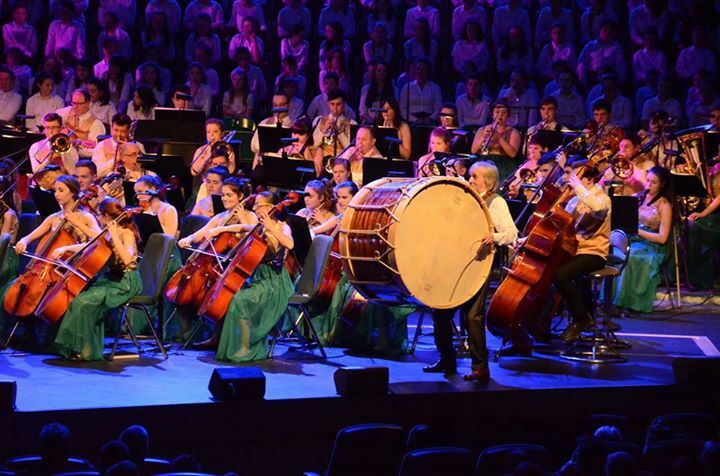 The concert by the Cross Border Orchestra of Ireland was sheer entertainment: superbly choreographed and impeccably delivered by the orchestra; guest soloists, dancers and pipers. This was a stage show clearly ‘orchestrated’ to emphasise government strategy for a year ahead of sensitive all-inclusive commemoration.